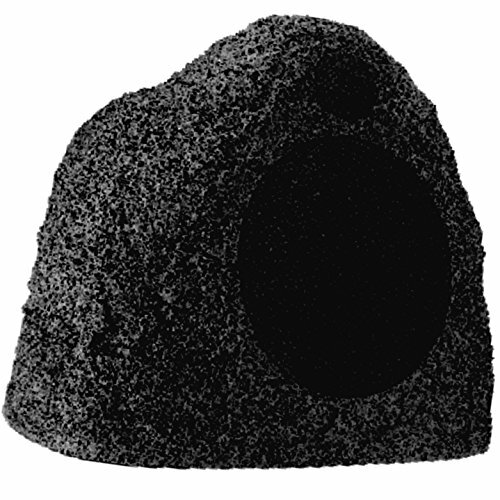 Stereostone Davinci Series Cineman Rock outdoor rock speaker with 8 inch woofer. 8 OHM; 90 DB SPL; 35HZ - 22KHZ. Weight: 35 LBS. Ultra realistic rock look speaker perfect for outdoor use. High quality sound. StereoStone colors are mixed in-house and all rocks are hand-finished. No two rocks are exactly the same, as you would expect in nature. The Black speckles help "hide" the aluminum or stainless grill. The black wash (on grey granite and brown sandstone) give the rock an "aged" look. If you have any questions about this product by Stereostone, contact us by completing and submitting the form below. If you are looking for a specif part number, please include it with your message.